Located right on Humphreys (the main road to connect with 180 – heading for Snowbowl or the Grand Canyon), I’ve passed this place a bunch of times. And each time I do, I keep thinking I HAVE to stop and try it out. So today, I finally did. I was thinking – hey! With a name like KickStand Kafe, it must have some kind of bike-theme going on. And I’m always looking for a great cup of coffee. This place had my name all over it. So I parked on the side street and walked up to the front door. There’s a cute urban patio that faces Humphreys. I’m a huge fan of urban patio spaces and love the vibe of being out where all the action is. But if that’s not your thing, this may not be the place if you’re looking for a peaceful patio spot to enjoy a cup of coffee. At any rate, I would have loved to sit there today, but it’s raining out. Oh well – next time. Walking inside, I’m surprised that there’s so many tables inside. The place looks smaller from the outside than it actually is. That’s a god surprise, because as much as I love tiny, vibey little coffee shops, I like to have a little personal space when I’m looking for a spot to meet with clients and/or get some computer work done. Bonus. Immediately I notice that I was under the wrong impression. Apparently having the name KickStand does not actually mean there’s a cool bike theme going on here. But no matter, the place is cute and decorated with pieces from local artists. Another bonus. The music playing is fun 60’s feel-good music – Elvis, Johnny Cash, etc. So it sets a fun vibe. But it’s not too loud, which is awesome. Loud music is a TOTAL pet peeve of mine in coffee shops. I’m here at lunch, so I was hoping to find something to eat other than pastries. Again, this place doesn’t disappoint. While not an overly extensive menu, there are enough good choices that you can find something to enjoy for either breakfast or lunch. And the prices were all reasonable. I chose a chicken salad sandwich on a croissant. It was pre-made, so I was a little skeptical. But it tasted fresh and was actually pretty delicious. I’m usually a straight-up cup of coffee girl. Hot coffee, no matter the weather, with cream no sweetener. But today, I decide to splurge for the sake of this review. I order a specialty coffe – a hazelnut, white chocolate and almond milk latte. I gotta say, it was pretty dang good. The staff was all friendly, which is always important. The only negative I found was the wifi. I couldn’t get access, even though I used the right network and password. I could’ve asked if there was a trick, but I didn’t. 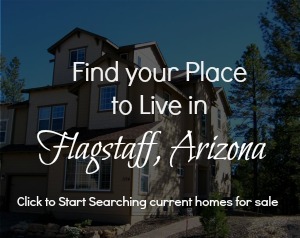 Instead I wrote this in Word, and I’ll just copy and paste it into the Flagstaff Places site when I get to my home office later. So it wasn’t a big deal, but will probably make me shy away when I have work to do online. Other things I noticed – kiddie sized chairs next to a bookshelf filled with board games, puzzles, and crayons. It looked like they have a good mix of kid-friendly games as well as board games that grown ups would like – Scrabble, Yahtzee, chess, etc. There’s a little marketplace area near the register, so you can pick up candy, chips, juice or other drinks for the road. And if all of this isn’t enough, there’s also a drive-thru. This is good to know if you’re on your way to Snowbowl and want to grab a quick and good cup of coffee on the way. Posted in Places to Eat and tagged Coffee Shops.